MULL: Another (possibly the same) Firecrest seen today in the Village on Iona, by one of my neighbours saw one in her back garden (Carol Dougall per Robertson MacCormick). MID-ARGYLL: Some recent records sent through from John McInally – included an egret, probably Little Egret at the Add Estuary on 31st March, an Osprey at Loch an Add (Letterdaill) on 6th April, an Osprey at River Add (Bellanoch Bridge) on 7th April and Sand Martins at River Add near Bellanoch on 7th April. 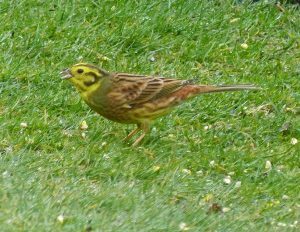 Today a Willow Warbler was between Dunadd and Drimvore and 2 prs of Grey Wagtail yesterday between Cairnbaan and Barnakill on the Crinan Canal, also 30 Siskins in Cairnbaan (Jim Dickson). 15 Whooper Swans seen flying N over Ardfern (Ju Randall). TIREE: A Little Tern at Gott Bay, 2 Great Skuas at Ceann a’ Mhara – also 46 Greenland White-fronts north over there at 7am and 23 Black Guillemots on the early morning survey. 5,200 Golden Plover in 3 flocks today including 3,300 at the Reef (John Bowler). 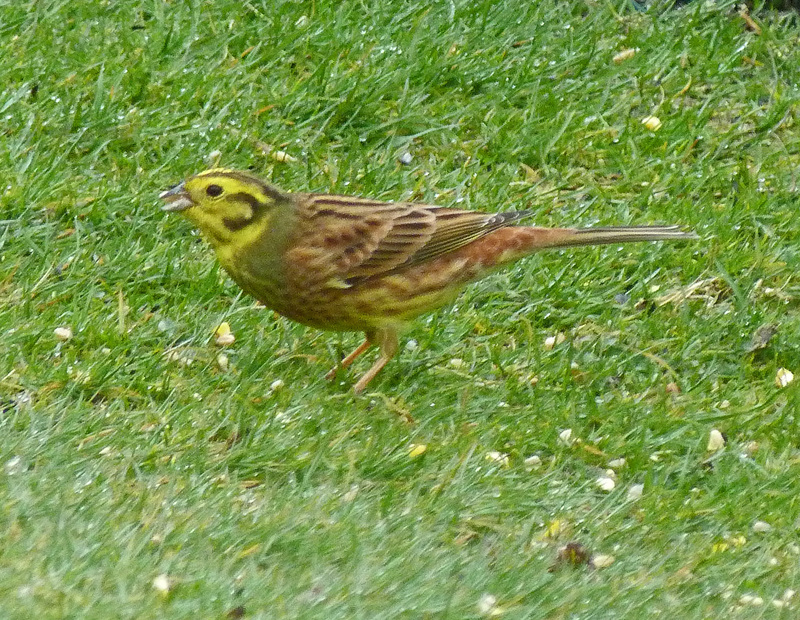 Yellowhammer – Dunoon, Cowal 9th Apr (George Newall). 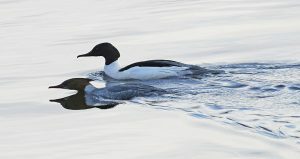 Goosanders – Holy Loch, Cowal 9th Apr (Ian Giles).